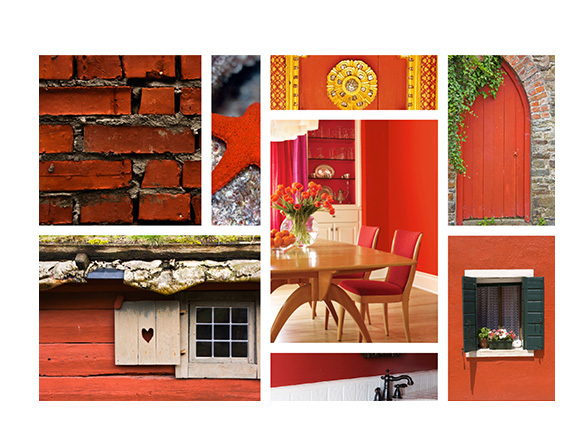 Today’s project is all about being inspired by color! It’s amazing what a simple pop of color can do to an entire room. I’m excited to show you such an example today! 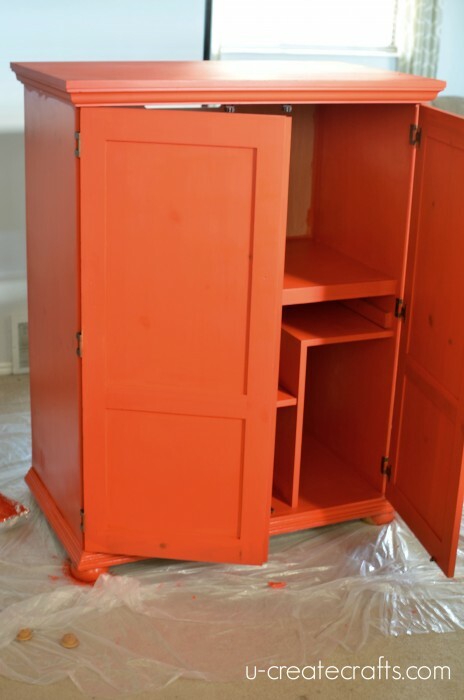 Watch how I turn an old boring computer armoire into a craft hutch as part of Ace Hardware’s 31 Days of Color, using Valspar paint! 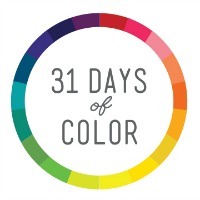 This month Ace Hardware is sharing 31 different colors on 31 different days including inspirational projects using that day’s color. Ace will be giving away free samples of the Color of the Day to the first 1,000 online entrants at ThePaintStudio.com starting at 12pm ET each day. Plus, enter the 31 Days of Color Sweepstakes daily for a chance to win a $10,000 paint makeover and daily $50 gift cards. The paint I chose for this challenge is the color Steelhead Redd. I wanted a paint that was great for indoors so I went with Valspar Optimus interior paint and I love how it has primer in it with their OptiColor Pigment Technology. It’s easy to clean and has a low odor which is fabulous for painting inside the house. I was pleased with the vibrant color and the clean, crisp finish I was going for. One gallon of this will cover about 400 sq feet. I’ve had this computer hutch for about 15 years and it is begging for a colorful update. I actually use my laptop for almost all of my computer needs so it really is taking up un-needed space. I am so happy with how the Steelhead Redd goes with the aqua baskets and black chalkboard! 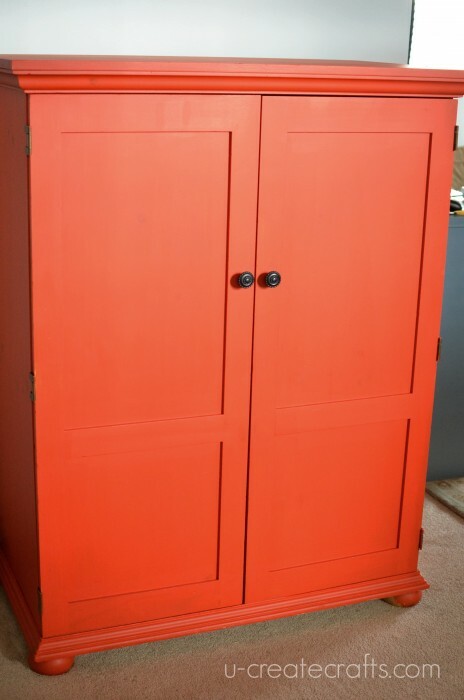 It really is the perfect color for my armoire! 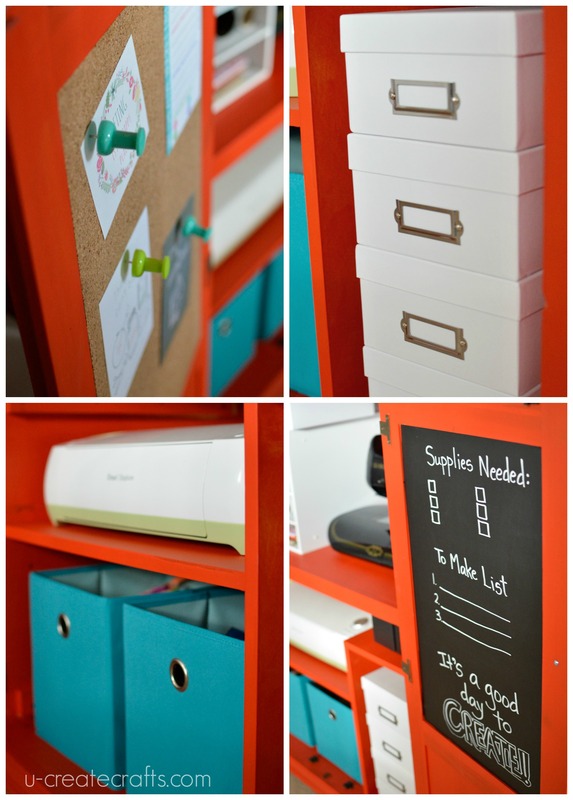 Now I have a fun, colorful space that brightens up the room and I can close the doors to hide any craft clutter my heart desires! I added a simple cork board that I use for inspirational notes and quotes. The chalkboard is my to-do list and reminds me of any craft supplies I’m running out of. The small photo buckets are the perfect size for my scissors, markers, adhesives, embellishments, and more. I love how the baskets hold my bulkier things like fabric, embroidery hoops, etc. 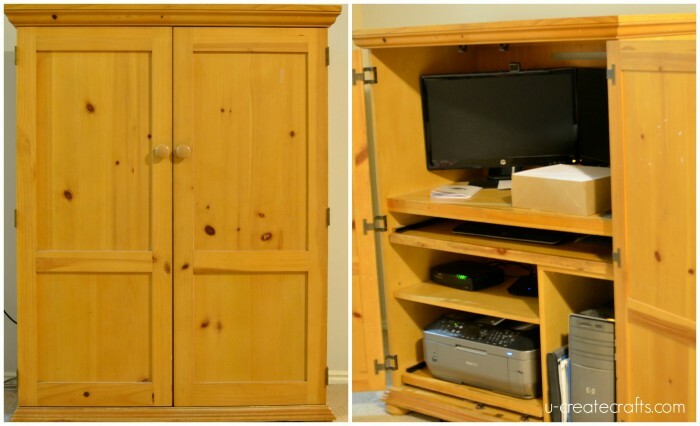 Storing a large sewing machine can be very tricky and I’m thrilled that it fits into my armoire perfectly! My husband walked down the stairs and the first thing he said was, ” I love the color!” I’m happy to say the makeover was a huge success. 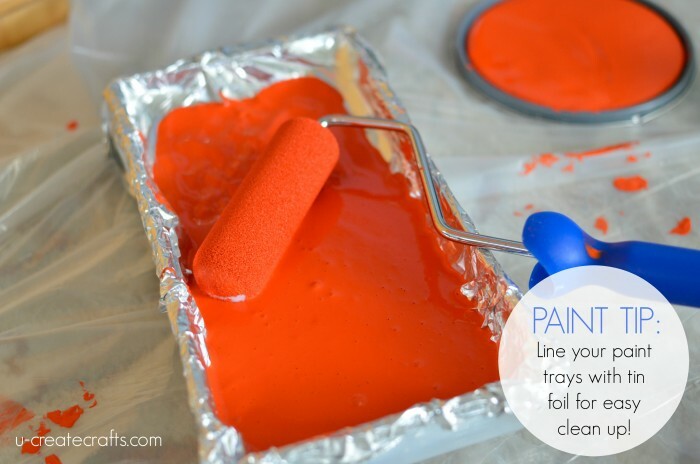 I thought it would be fun to share my very favorite paint tip that saves me a lot of time and hassle. It’s so simple. I line my paint trays with tinfoil so I can easily discard of them when I’m finished using that color. Saves time and I don’t need to spend money on those removable tray covers! Visit ThePaintStudio.com starting at 12pm EST every day in March to uncover the Color of the Day from Ace’s exclusive Valspar® or Clark+Kensington® paint lines, along with expert tips and inspiration. 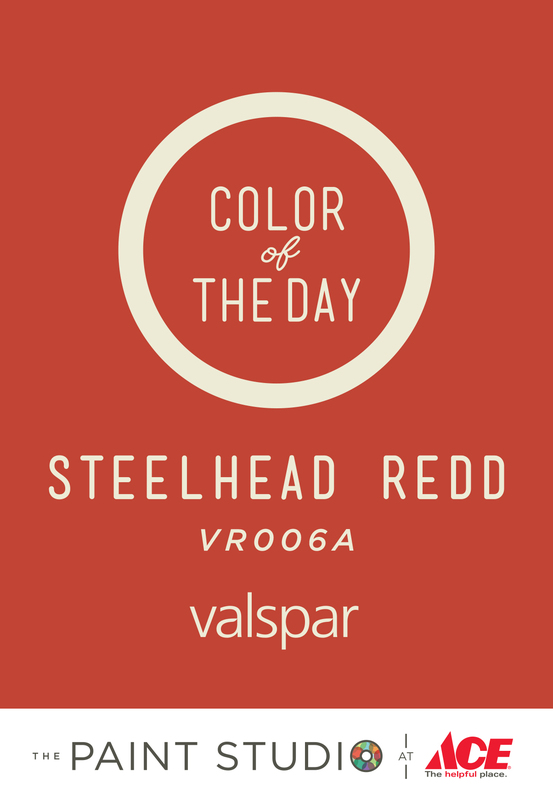 This is a sponsored post by Valspar, however all opinions and projects are mine. What a beautiful color! I love the transformation. I’m doing this program too – I did an accent wall! such a fun red! i love the orange tone- it’s got a great mexican vibe to me! My favorite color, poppy! I know it’s been nearly three years but do you know what the exterior body and trim colors are too? 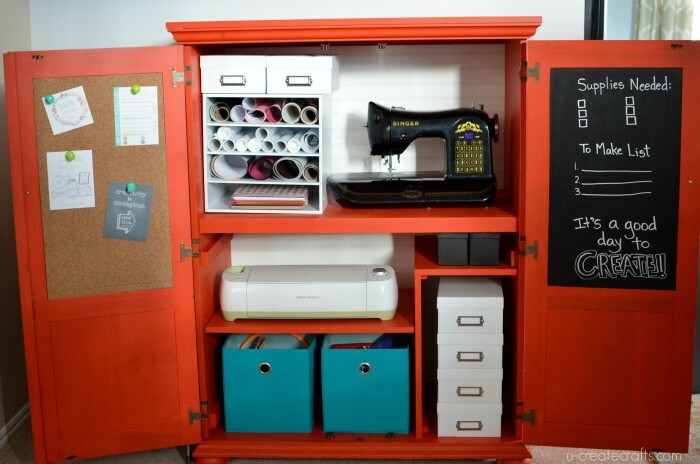 I’d love to do this combo on my remodel!